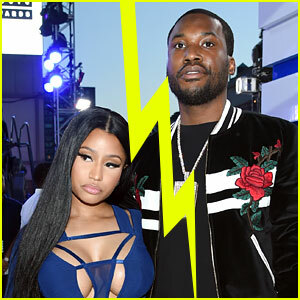 Nicki Minaj has confirmed that she and Meek Mill have split after dating since the beginning of 2015. “To confirm, yes I am single. Focusing on my work & looking forward to sharing it with you guys really soon. Have a blessed New Year. Love u,” Nicki posted on Twitter after weeks of speculation that she and the 29-year-old rapper had split. Nicki stopped posted selfies with the rapper late last year, which fans began to note as unusual and the speculation began. Angelina Jolie & A Guitar-Carrying Shiloh Fly Out Of Colorado After Family Vacation Colin Kaepernick Has A New Non-Controversial Friend … Chris Brown!! Missy Elliot Follows Rihanna & Selena Gomez To The Voice — Find Out Whose Team She Be Advising HERE!